There is always a lively interest in the supervisory process and its explication. Courses in supervision abound and the critical role of supervision in becoming a psychotherapist is widely acknowledged. 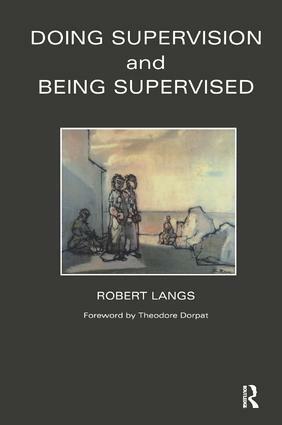 It is for this reason that this book aims to present the essentials of supervision, establish validated principles of teaching and learning, define a series of optimal supervisory precepts, consider some of the basic issues in this sometimes difficult arena, explore the supervisee's concerns as the student, and address the future of supervisory work.Supervision should be principled and properly framed, sufficiently consistent and well defined to assure the supervisee the best possible supervisory experience and the supervisor a situation with as little possibility of crisis and untoward reactions, and as much reward as possible. This book is dedicated to both teachers and students: to their growth, maturation and ultimately to better psychotherapy for their patients.